The first has been widely quoted in the popular media, while the latter has been ignored. The first shows that fatal car crashes involving marijuana have tripled in the last decade. The latter shows that marijuana use causes no increase in the relative risk of a fatal crash. Authors of both studies relied primarily upon data from the FARS dataset (Fatal Accident Reporting System from NHTSA), but each used a different analytical approach, hence their different take-home messages. The FARS dataset used by both author groups is unfortunately badly flawed and unsuitable for drawing any conclusions regarding marijuana-impaired driving. NHTSA, the organization that defines how FARS data are to be collected and reported, conflates marijuana’s psychoactive parent compound, Δ9THC (aka THC), with its inactive metabolite, carboxy-THC (aka THC-COOH). THC is very rapidly metabolized and can rarely be detected after a few hours. 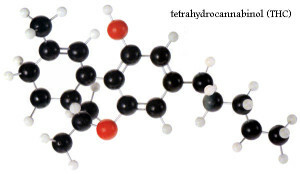 THC-COOH, on the other hand, remains detectable for weeks, so it is much more likely to be found in laboratory assays. Drivers who test positive for THC will inevitably be found to have THC-COOH in their blood. But drivers with THC-COOH in their blood will not always show detectable levels of THC. Therefore, it may be that Brady’s conclusions are valid. But it also may be that the observations can be explained by the fact that, since marijuana is so much more widely used than it was a decade ago, THC-COOH is more frequently found in fatally injured drivers, which would say absolutely nothing about their state of impairment. If drivers who tested positive for only THC-COOH were to be not classified as cannabis-positive, it is likely that the major cause of drug impairment in the US continues to be stimulants like cocaine and methamphetamine, as it was from 1999 – 2006, according to Brady and Li. Their suggestion that increasing marijuana use is making our roads less safe would no doubt remain, it just wouldn’t be as strong as it is in the current report. The flaws in the FARS dataset also contaminate the Romano report. If Romano et.al. 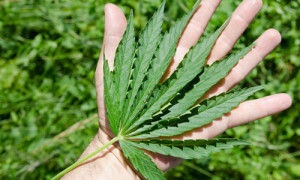 were to have access to data not marred with THC-COOH results, the relative risk of marijuana use would likely be different than what the authors reported. Data showing how recent marijuana use impairs driving are incontrovertible. Unfortunately, the FARS data being collected can neither support nor refute this effect convincingly. Some may argue for the inclusion of THC-COOH in the FARS cannabinoid reports, since it is far better to have drivers on the road who avoid marijuana than ones who use it. But the inclusion of THC-COOH in the FARS dataset makes it useless for the above analytical purposes. Until NHTSA issues guidance to states to consistently report only marijuana’s active ingredient in FARS data, we will continue to stumble along with an inadequate understanding of drugged driving in the US.